A robust collection of Bristol Motor Speedway signature trophies are scattered throughout Roger Penske's incredible 500 major motorsports victories. One of the most revered team owners in motorsports history celebrated that amazing milestone this past weekend in Las Vegas when Brad Keselowski took yet another NASCAR checkered flag. As Team Penske reflects on the journey to 500, the famed high-banked half-mile concrete oval in East Tennessee sits brightly in focus, having played a significant role along the way. Team Penske drivers have combined for 16 wins at Bristol Motor Speedway, the most for Penske at any NASCAR facility. Of Penske's 111 Monster Energy NASCAR Cup Series victories, 12 have occurred at The Last Great Colosseum, the most of any facility. Along with four NASCAR Xfinity Series victories, "The Captain" has visited Bristol's Victory Lane with some of the biggest names in the sport. Rusty Wallace: A Bristol legend, Wallace was a contender every time he raced on the high banks at BMS in the No. 2 machine. The 1989 NASCAR Cup Series champion earned seven of his nine career Bristol Cup wins at the controls of the No. 2 machine, including giving Penske his first career Bristol win in 1991. Even more impressively, four of Wallace's seven victories came from the pole. The 2013 NASCAR Hall of Fame inductee swept both Bristol Cup races in 2000, with the Food City 500 being the sight of his 50th career victory in NASCAR's top division. Joey Logano: Logano, one of the top stars in NASCAR, has tasted BMS success in both Cup and Xfinity for Penske with three victories between the series. The driver of the No. 22 recorded back-to-back Night Race victories in 2014 and 2015 and earned an April Xfinity victory in 2015. Logano's two wins remain the only BMS Cup wins for Penske that did not occur in the famed No. 2. Logano continues to be a contender at the Colosseum, earning top-10 finishes in five of his last six Cup Series races at Bristol. Brad Keselowski: While Keselowski's name is on the radar this week for bringing Penske his 500th career win, the 2012 Cup Series champion does have a winning pedigree at Bristol. 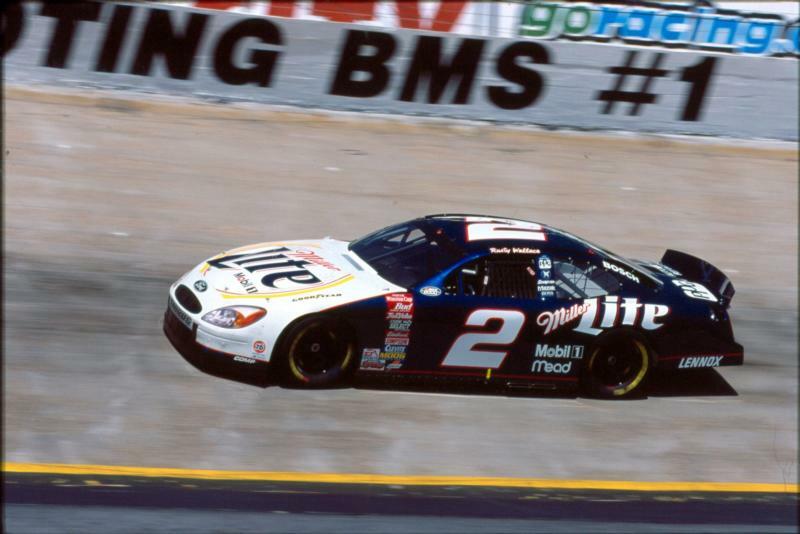 Keselowski has carried on the winning tradition for the "Blue Deuce" with two consecutive victories at the 2011 Night Race and the 2012 Food City 500. Kurt Busch: The elder Busch brother has long been one of the most accomplished drivers in Bristol Motor Speedway history. 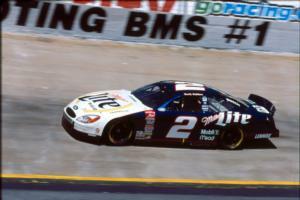 The 2004 Cup Series champion has six career BMS victories, including one for Team Penske. In his first Bristol start for Penske, Busch guided his No. 2 to the win at the 2006 Food City 500. The win made Busch the second driver after Wallace to gain a Cup win for "The Captain" at BMS. Ryan Blaney: Now a member of Team Penske's three-car Cup Series tandem, Blaney cut his teeth for the team in the NASCAR Xfinity Series. Blaney guided the No. 22 to a win at the 2014 Food City 300 for his second career series victory. While the young gun has only competed in two official Cup races for Team Penske, Blaney has already established himself as a favorite at The Last Great Colosseum. The driver of the No. 12 dominated the opening stages of April's Food City 500 before being caught up in an accident. In August's Bass Pro Shops NRA Night Race, Blaney once again led laps before finishing seventh. Ryan Newman: While Newman was never able to visit Cup Victory Lane at BMS for Penske, the Indiana native had numerous highlights at the facility with Penske. The "Rocket Man" earned Team Penske its first Bristol Xfinity victory during the 2005 Food City 250. In addition to his Xfinity victory, Newman earned two BMS Cup pole positions during his run with Penske. Justin Allgaier: One of the favorites to win this season's NASCAR Xfinity Series championship, Allgaier's success started with Team Penske and the No. 12. Allgaier picked up his first career Xfinity Series victory during the 2010 March race weekend. The Illinois native started 30th and turned in an impressive performance that would help jumpstart his successful NASCAR career. NASCAR action returns to Bristol Motor Speedway in 2019 with two of the most anticipated weekends on the stock car circuit, the Food City 500 weekend (April 5-7) and the Bass Pro Shops NRA Night Race weekend (Aug. 15-17).